At TechnoKids, we’re often asked how our templates, samples, or workbook files can be shared with students. One common option is to use Google Drive. The only prerequisite is that each student must have an individual Gmail account. Before getting started it is important to refer to your site license agreement. TechnoKids files cannot be placed in the public domain. The folder MUST BE KEPT SECURE and only shared with approved users. Sign in to the teacher’s Google Drive account. Click New and pick Folder. 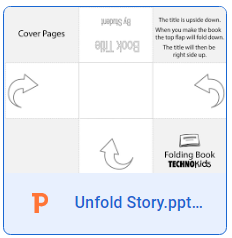 Name the folder with the name of the project you’re using, e.g., Bookmaking, Toon, or Journal. Drag and drop the files from the folder OR click New and choose File Upload. Navigate to the location of the files, select them, and click Open. 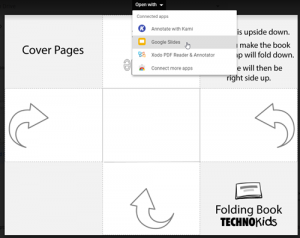 Copy files from the TechnoKids student folder to a Google Drive folder. IMPORTANT: Google Docs does not have a native format. This means that TechnoKids templates are Microsoft Office files. To make it easier for your students to open the templates, convert the files into Google Docs files. 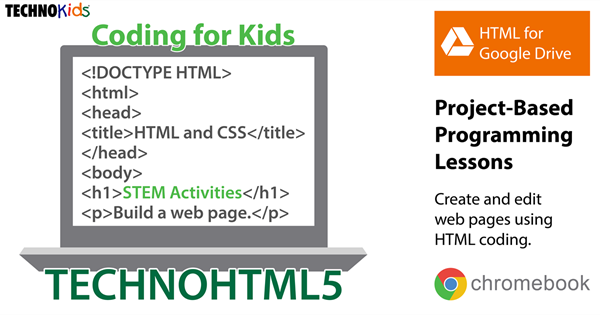 If you are using a TechnoKids project that has templates such as TechnoBookmaking, TechnoMe, or TechnoRestaurateur then do this step. If the file is a Microsoft Office file type (pptx, docx, or xlsx), double click on it. Is the file a template? If yes, do this step. 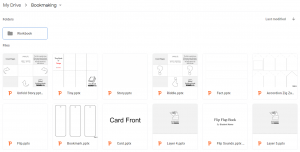 Select Open with and pick the Google application such as Google Slides, Google Docs, or Google Sheets. Open the file with the Google application. The file will open in the Google application. This will create a Google file that is easy to share with students. Close the tab (X). You will notice you have TWO files – one is the original Microsoft Office file – the other one is the new Google file. DELETE the original file. KEEP THE GOOGLE FILE. Delete the original file and keep the new Google file. Repeat to convert all templates and delete the original files. For example, the picture below is for the project TechnoRestaurateur. Now there is only a Google Sheets, Docs, and Slides version of the files. Go back to My Drive. If necessary, close any tabs that were opened for the converted files. Enter the email addresses of all students. You may have created a directory so they can be all added at once. Click the edit options and choose Can view only. This step ensures that students cannot edit the file unless they save a copy. TIP: You may want to share a link with students instead of send an email. To do this, click Get shareable link. Select can view. Share the link with students. MAKE CERTAIN THAT WHERE YOU POST THE LINK IS SECURE AND THAT IT WILL NOT BE ACCESSIBLE TO THE PUBLIC. Open the email and click the link to go to their Google Drive OR open their Google Drive. Right click on a file OR single click the file and click More actions. Go to My Drive and double click the Copy file to open it. Rename the file. 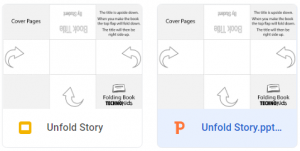 Now students will be able to work on, edit, and have a copy of their own file. WHAT ABOUT THE PDF ASSIGNMENT SHEETS? 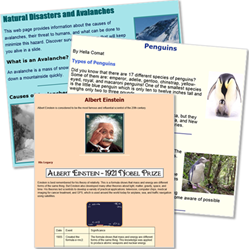 Each TechnoKids project has a Workbook folder. In it, are digital assignments that students can use to follow instructions and type their answers. Your students must make a copy of each PDF assignment. This will save the file to their Google Drive. They can then use the Chrome extensions XODO or KAMI to open the file and type their answers. To learn more read the blog article, PDF Reader for TechnoKids Files or watch the video, Annotate with XODO TechnoKids Workbooks. In the Chrome web browser view your Google Drive. Make sure you are in the old version of Google Drive. Click the Settings gear and select Leave the new Drive. Name the folder website. Click Create. Select the folder. In the left pane, select DETAILS. Click Share in the SHARING area. You need to change the share settings. Click Advanced. In the Who has access area, click Change. You need to make the folder public. Select On – Public on the web. Click Save. Any files in the folder will be viewable by anyone. A link will appear on the Details pane in the HOSTING area. This is the URL of the website. The folder has a URL. Inside this folder you will create the index.html file and store all the pictures you are going to include on the web page. In your Google Drive, click CREATE. In the search box type in the name of the app. For example, Drive Notepad, ShiftEdit, or HTML Editey. You will be asked to make it the default app. I typically remove the checkmark so that I can pick the app I want instead. Now you can create and edit files with the app! An index.html will contain the code to make the web page. Click on your website folder from step 1 to open it. When asked to create the file in the shared folder, click CREATE AND SHARE. Since it is the first time using the app, you will be asked to grant permission. You must complete this step before the app will open. You only need to do this once. Select the HTML editor app you connected in the previous step. The app should open in a new Chrome browser tab. You should have two tabs open! You should have two tabs open in the Chrome browser. To see how the web page will look you need to open the shared folder you created in step 1. LEAVE THE APP WINDOW OPEN! Click the Google Drive browser tab. Select the website folder you created in step 1. Click the link on the Details tab in the right pane to view the web page you just created in step 3. Save your changes in the coding app. If you cannot save changes (HTML Editey), you will need to wait until the app automatically saves the file. You will need to Reload the web page preview to see the updated code changes. Click on your index.html file. Click the Open arrow and select the HTML Editor app from the list. To preview the web page complete step 4.